Follow these steps if the media file and captions file are located in different directories or have different names. You will need to create a pointer file that references both the media file and captions file. Before getting started you may first want to set SMI as a favorite formats. From the My Files page locate the file associated with the video you intend to work with in Windows Media Player or Silverlight. Click the file name to open the file view page. 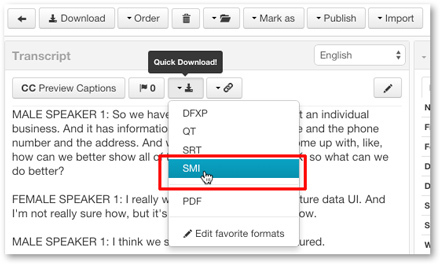 Download the SMI caption format. Take note of where you SMI and WMV files are located on your computer. Paste the code below into a text editor. 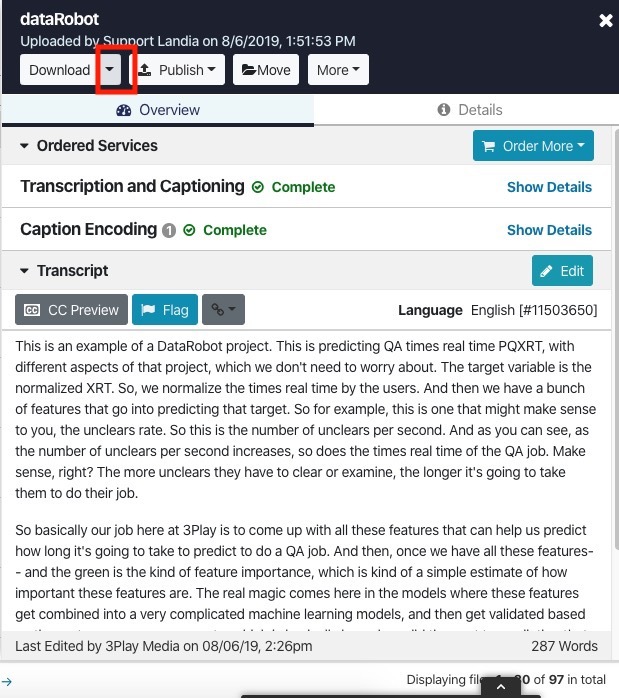 Edit the name and location of the media file and captions file. Save it as an ASX file (e.g., My-Video.asx) and make sure that Windows does not rename it (e.g., My-Video.asx.txt). The ASX file will look and function just like a media file. It will associate with the Windows Media icon and playing it will launch the media file and captions file.